The 5th URISA Caribbean GIS Conference Call for Presentations is now available. The deadline for submissions is August 20, 2010. The Conference will take place in Port-of-Spain, Trinidad on Dec 6-10, 2010. Update: Corrected deadline for abstract submission. Thanks Nicholle Frontin. Here's an interesting site (blog) on censuses and census cartography - GeoCensos. It is an initiative of Latin American & Caribbean experts in geo information and census cartography created under the auspices of the Economic Commission for Latin America and the Caribbean. (ECLAC) Members of the blog exchange experiences and information and may be interested in exchanging news or press reports on censuses of their own country and geo information subjects for the 2010 Census round. They have worked together since the completion of the 1st ECLAC workshop on Census Cartography in Dec 2008 in Santiago of Chile. They presently produce news and analysis of the censal reality in the region. Many blog members are bilingual - if you wish to write them - and GeoCensos can be found on the social networks Facebook and Twitter. Dear Reader, The planning for the URISA Caribbean Conference in Dec 2010 is heating up. We're working on refining relevant conference tracks. Out of this I wondered about the level of interest in GIS amongst non-GIS persons per se, e.g. government administrators, disaster management personnel, business owners, health professionals, NGOs, etc.. So, please tell me - there's a poll on the right - Are you a GIS practitioner? Thank you. The 5th URISA Caribbean GIS Conference will take place at the Cascadia Conference Centre in Port-of Spain, Trinidad on Dec 6-10, 2010. It's highly recommended as the biggest gathering of GIS professionals and interested persons from within and outside of the Caribbean, in the Caribbean. And Trinidad is an excellent destination for food, drink, culture and an enjoyable time. More details and the Call for Papers will be posted as soon as these are available, but I anticipate already that there will be presentations regarding (i) GIS and Electric Utilities and (ii) GIS and Disaster Management on the programme. See notes about previous conferences in this successful series here. From Mon, June 7 to 11, 2010, primary and secondary school teachers from across the Grenadines [Grenada and St. Vincent & the Grenadines] will receive hands-on training in the use of a cutting-edge technology used to create the Grenadines Marine Resource and Space-use Information System (MarSIS), the first of its kind underwater mapping information system in the Caribbean. 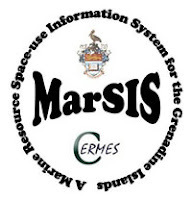 The Grenadines MarSIS is a GIS which has been created to integrate a range of existing scientific information together with a variety of local knowledge of the Grenadines marine resources (i.e. reefs, seagrass beds, mangroves) as well as areas important for conservation (i.e. turtle nesting beaches, fish nursery areas) and livelihoods (i.e. fishing, tourism, shipping, recreation) as well as hundred of underwater pictures and videos across the Grenadines. This information system has been collaboratively developed over the past 5 years with a range of community members within each Grenadine Island in order to provide easy access to marine environmental information and allow for more informed decision-making and ultimately promote sustainable marine resource management across the Grenadines. The first workshop will take place in Carriacou at the Multi-Purpose Centre in Hillsborough on Jun 7; the second will take place on Jun 8 in Union Island at the Sustainable Grenadines Project office; the third workshop at the Canouan Government School on Jun 9; the fourth workshop in Mustique on Jun 10; and the final workshop will be held at the Bequia Community High School on Jun 11. More than 50 teachers are expected to attend this week-long series of workshops. Thanks to Kimberly Baldwin and Bruce Potter for the information; and kudos to Kimberly and all involved with MarSIS for staying the course for the five years it has taken to get to this stage. 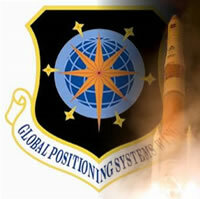 The first in a series of new and improved GPS satellites (GPS IIF) has been launched by the U.S. Air Force. It should come into active (healthy) service at the end of Aug 2010. The satellites in the new series will offer improved position accuracy and have a stronger signal for better reception - good news for users in dense tropical rain forests, for example. Previous reports had pointed to the issue with the ageing GPS (Navstar) fleet. The GPS constellation is now reported to have 30 operational satellites; and with Russia's GLONASS, the European Union's Galileo, China's Beidou-1 and Compass, India's IRNSS and Japan's QZSS at various stages of operation, upgrade or development, that popular question might just become even more prevalent.